T he Brand New Rancho Mission Viejo development is located off the Ortega highway, just east of San Juan Capistrano and adjacent to Ladera Ranch. With about 23,000-acre of natural and historic treasures, this is a full working ranch: cowboys, herds of cattle, a sustainable farm, a native plant nursery, citrus and avocado groves are just part of the community that now has beautiful brand new homes for sale within its villages that includes single family residences, condominiums, single story homes and active 55+ neighborhoods. These Rancho Mission Viejo Homes are perfect for those looking for that ranch lifestyle, along with close proximity to the beach (less than 5 miles), easy access to the 5 Freeway and other amenities nearby. Search all Rancho Mission Viejo Homes currently listed for sale in the MLS. For more information about any of these homes, or if you would like a showing, please contact us via email, or by phone at (949) 888-6788. 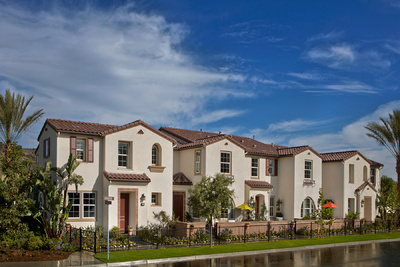 Read more about Rancho Mission Viejo Real Estate. Beholding the rewards of near-new construction and a lengthy list of luxurious custom upgrades, this spacious Craftsman-inspired residence is ready to enhance your lifestyle in Rancho Mission Viejo. A towering ceiling with ultra-modern chandelier complements the open-concept home’s entry, which provides passage to a dedicated office, 4 ensuite bedrooms including one on the first floor, and 4.5 baths in a floorplan measuring approx. 3,407 s.f. Among the amenities planned for all who plan investing in Rancho Mission Viejo Real Estate are a community hall, clubhouses, community pools, a 15 acre community park, neighborhood pocket parks, hiking/biking trails along the Reserve and County Regional trails network, a 10 acre retail plaza, a fire station and nearby child care center. Most homes will be energy-efficient homes, equiped with energy efficient appliances, energy efficient lighting and fixtures, weather sensing irrigation, water efficient plumbing fixtures and others.